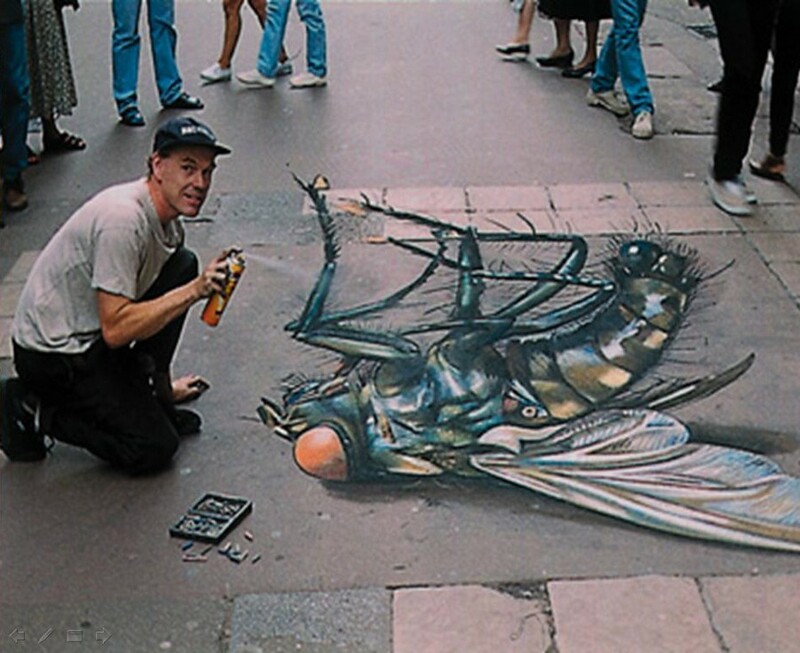 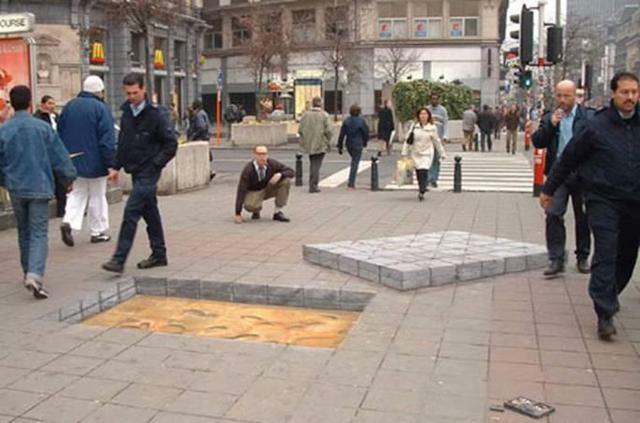 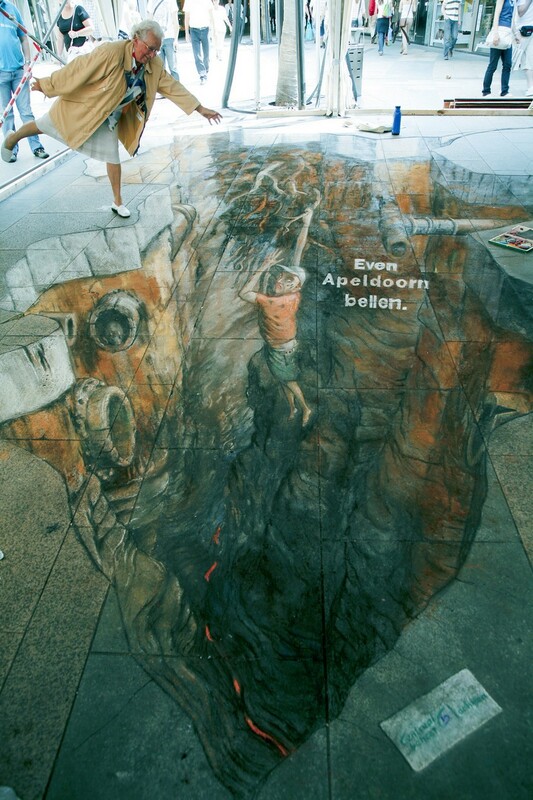 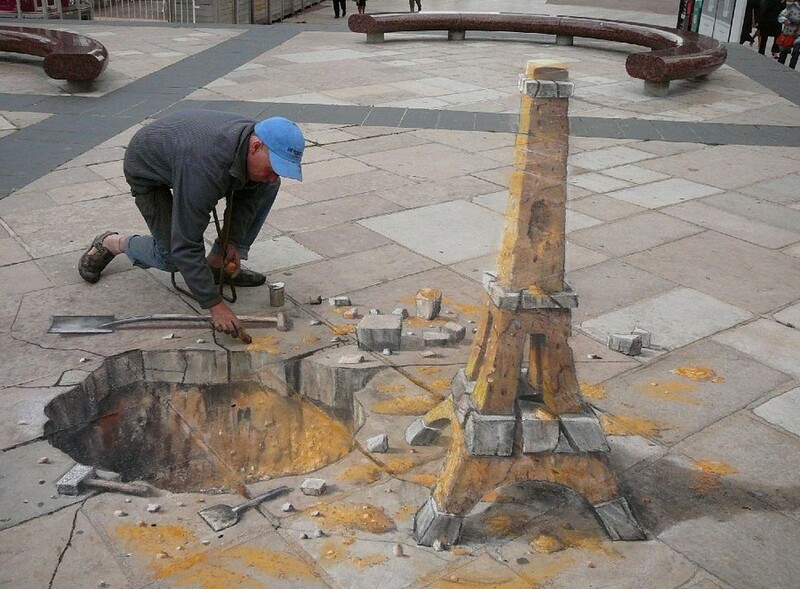 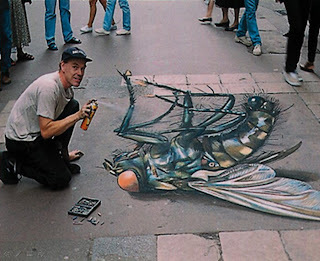 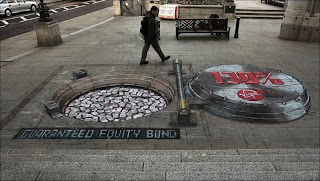 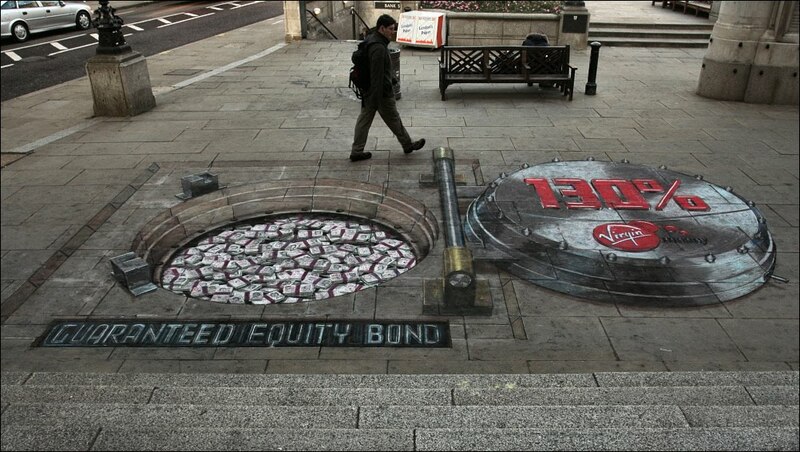 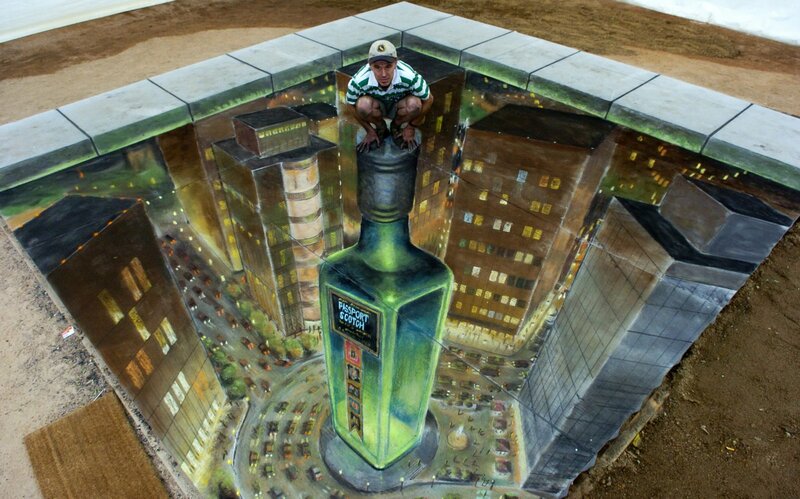 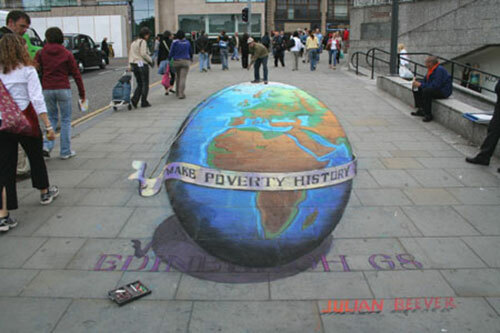 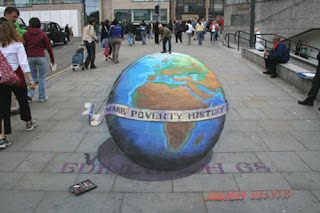 The work of Julian Beever is truly a sight to see. 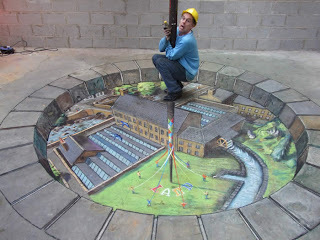 I can understand why some of the other artist considers Mr. Beever as the father of street art. 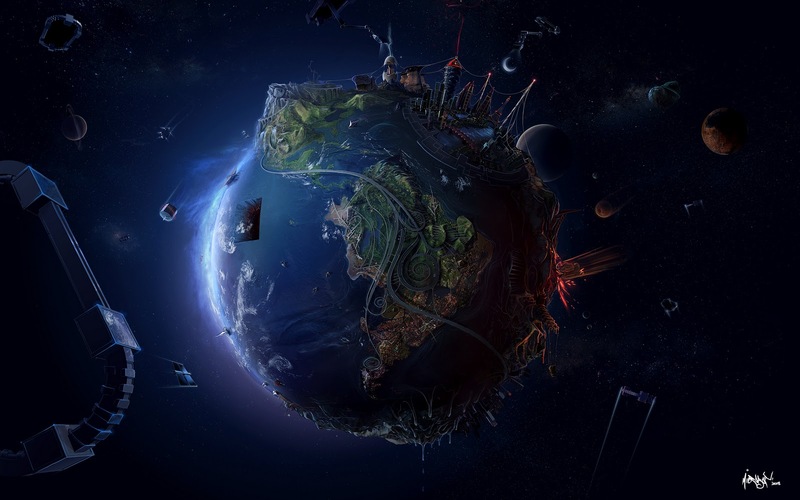 He has gained wide spread recognition for street art through his talented art work, the way he targets his artwork, and how he frequently involves bystanders in his masterpieces.